Aim: The work was devoted to study the effect of Royal jelly on the microcirculation during thermal injury in the experiment. Methods: The study was carried out on white Wistar rats weighing 180-220g. Three groups of animals were formed: intact group – healthy animals (n=10); control group – animals with thermal injury (n=10) and experimental group – animals with thermal injury treated with Royal jelly (n=8). The method of Laser Doppler flowmetry was used for the study of microcirculation. Results: The decrease of the intensity of microcirculation and the growth of bypass indicator was marked in animals with the burn. The results showed that the use of Royal jelly in treatment of thermal injury contributes to the stimulation of active factors (endothelial, neurogenic and myogenic) of regulation of microcirculation, showing a potentiating effect in the healing of wounds. The analysis of passive factors of the microcirculation reflecting the blood flow out of the system of microcirculation revealed a statistically significant decrease in respiratory waves associated with venular link on 24% in thermal injury in comparison to the intact group of animals. 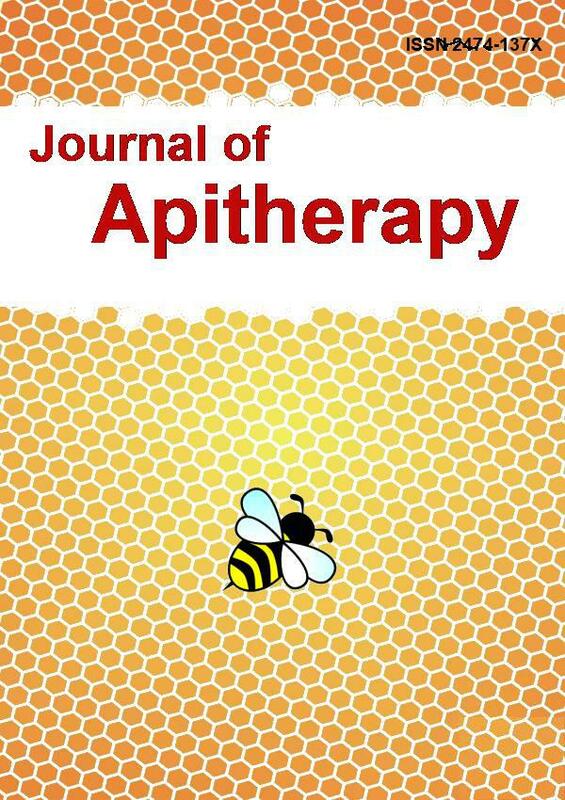 The tendency to increase of the amplitude of respiratory waves was marked by 13% in comparison to the control group of rats under the influence of Royal jelly. Conclusion: The results showed that the use of Royal jelly in the complex treatment of thermal injury contributes to the normalization of microcirculation. Royal jelly stimulates active factors of the regulation of microcirculation, improves a blood circulation, accelerating the reparative processes in the area of the burn.